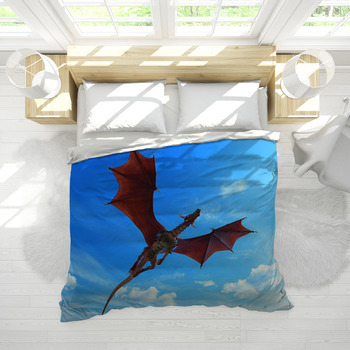 Myths of giant creatures that fly around with wings breathing fire have been around for hundreds of years and exemplified with Disney movies and cartoons, dragons have become a popular children bedroom theme. 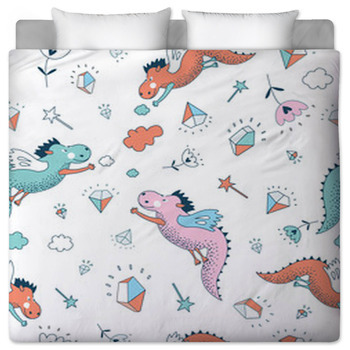 From Asian to American, dragon tales are extremely popular and now you take whatever dragon style you like and turn it into bedding. 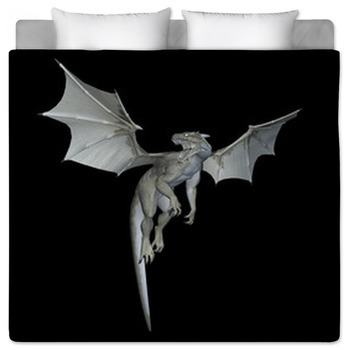 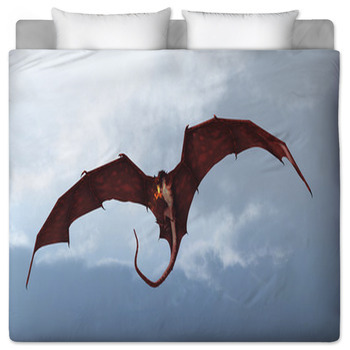 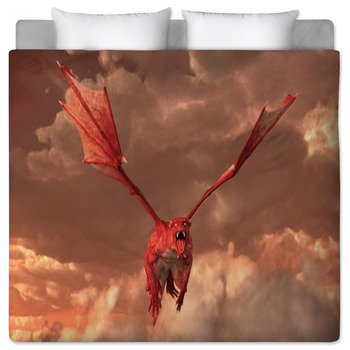 From anime to realistic, dragon bedding designs and artwork of all kinds are in the VisionBedding design gallery. 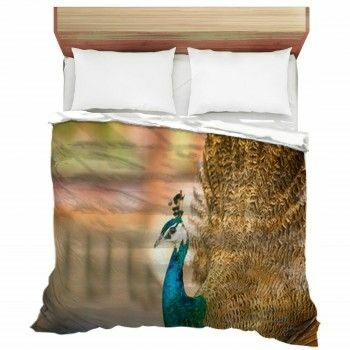 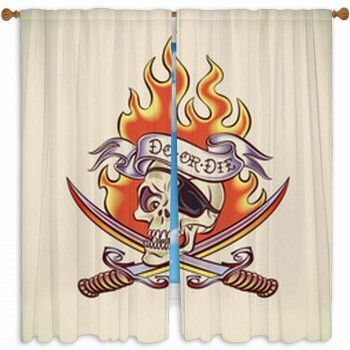 Looking for a specific design? 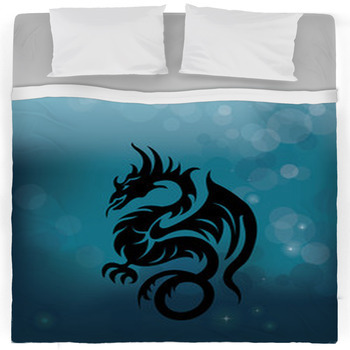 Don't worry because we have thousands of unique dragon themes and all can be customized to your personal style. 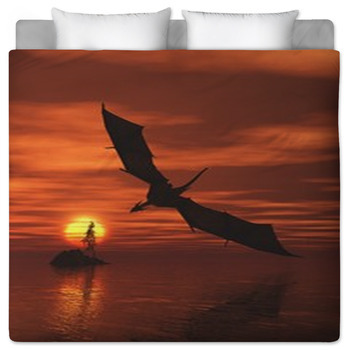 Many people have artistic abilities to create and design dragon art but find it hard to display them in their rooms. 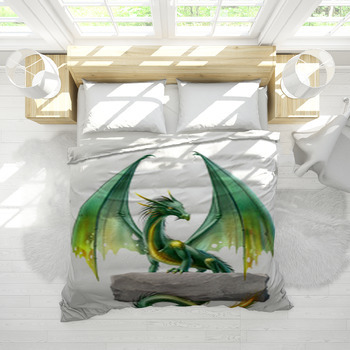 Now you can turn these one of a kind designs into a custom dragon comforter, rugs, window curtains, bed sheets, or duvet cover featuring your own favorite dragon. 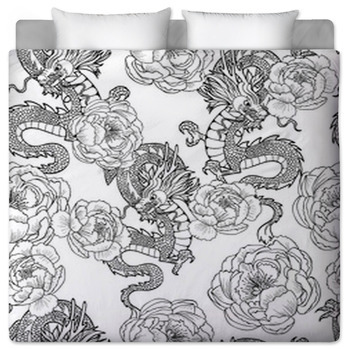 Made popular by rock bands, the dark black and white dragon drawings have become a symbol of modern art and pop culture. 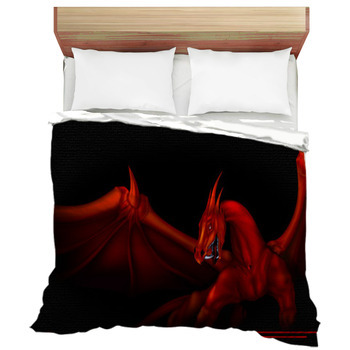 Turning these designs into a dragon bedding set is just one way to complete your dragon themed bedroom. 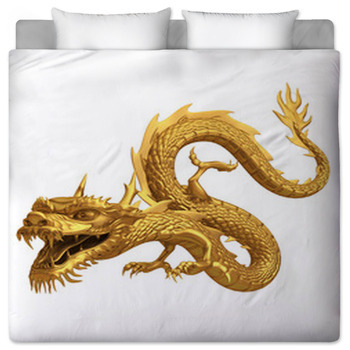 Whether it's a friendly cartoon dragon or a scary or evil dragon for your custom bedding, dragons have been a symbol of prosperity and good luck for many years. 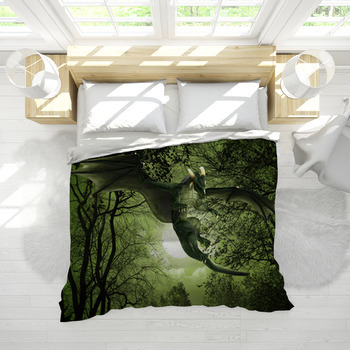 By turning your favorite dragon design into bedding will bring you a good night's sleep and dreams for many years to come.